I’m taking Julie Fei Fan Balzer’s “Getting Started” monthly on line classes and this month’s class is “Getting Started with Watercolor”. I love Julie’s teaching style, she is fun and very inspirational. 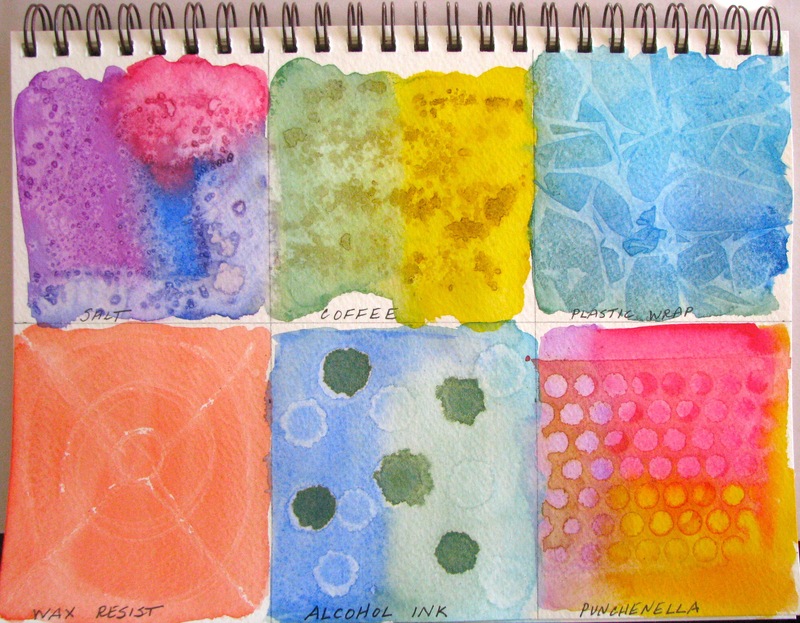 Below is my sampler of her techniques for adding texture to watercolor. I can’t wait to try more techniques in my art journal. Sooo beautiful, I want to do that too! Love your colors and texture. Julie’s the best! Hi Marci! Don’t you just love Julie’s classes? She is so engaging and full of awesome ideas. I always come away completely inspired.